3807 San Pablo Drive, Fullerton, CA.| MLS# LG19044186 | Southern California Homes for Sale. Search properties Southern California. 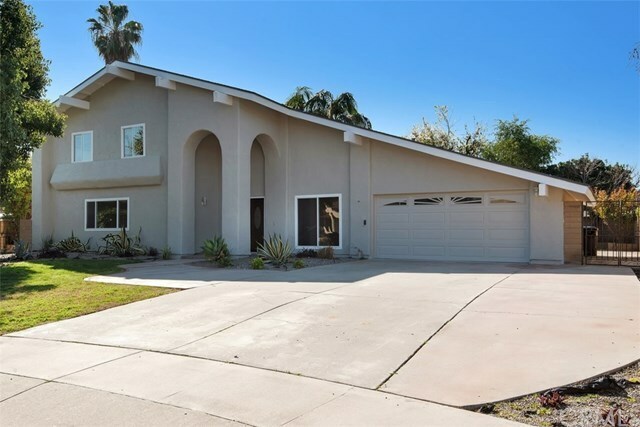 Beautiful Two Story Home in Highly Desirable area of Fullerton located on a Cul-de-sac. Walking Distance from Hermosa Elementary. Beautifully Upgraded and Remodeled with great open layout. Freshly painted inside and Out. Wood and Tile flooring through out the entire house. 6 Bedrooms, 3 and One half Baths. Kitchen features include open room, Island, Large Pantry, New Appliances, Quartz Counter Tops. There is a laundry area off the kitchen, An additional den space off the family room with large fireplace. Large Master Bedroom with an additional attached Suite, or Office. Large walk in closet, and Walk in Shower. 2 Bedroom come with Custom Built In Closet Drawers and Shelving. 1 additional bedroom includes a Walk In Closet. Spacious Garage with Cabinets with pull down stairs for extra storage. Huge back yard with mature shade trees, and covered rear patio, plus extra sport court area ready for outdoor fun. Priced to Sell.